Welcome to Pam DeVoe, a cultural anthropologist, who has long been interested in traditional China and has a PhD in Asian studies. With the support of a Fulbright dissertation grant, she lived a year in rural Taiwan studying traditional Chinese culture, which gave her additional insight and grounding in the historical Chinese narrative. She has many non-fiction publications in anthropology, refugee and immigrate studies, and multi-cultural mediation. She has won awards from Saturday Writers, a chapter of the Missouri Writers Guild, and from American Pen Women for her poetry. 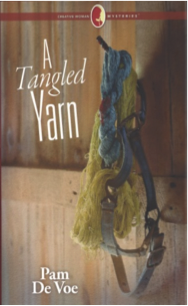 In October 2013, her first novel, A Tangled Yarn, was published by Annie’s Publishers as part of their Creative Woman Mystery series. The Writers’ Lens is about "Bringing fiction into focus." What brings your writing into focus-- the characters, the stories, the love of words? In mysteries plot is essential. The story can’t wander; the scene must somehow feed into the mystery, either by providing clues or red herrings. No matter how beautifully written, if the scene doesn’t move the story forward, it has to be cut. So, plot gives structure to the story; however, character development is also essential to a successful tale. Without engaging characters, readers won’t bother finishing the novel because they won’t care what happens. Characters and their relationships raise the emotional tension of the story. Plot and characters are the wheels, similar to those on a bicycle, which propel the story along. They are equally important and I try to always keep that in mind as I write. What inspired your latest book? Currently I am working on a young adult historical adventure/mystery trilogy (the Mei-hua series), which I hope will be out late this year or early next year. It is set near the beginning of China’s Ming Dynasty in 1380, a year of immense changes with terrifying consequences. But, your question is: what inspired me to write historical trilogy—rather than the contemporary mysteries I have been writing? China is constantly in our news. The country has gone from unimportant to us—because it was internally oriented and relatively poor economically—to a global power and one of our major trading partners. Our economic well-being is thought to be tied to it, yet we know little about China, its history and its culture. We can’t understand the present unless we understand the past. And that’s as true for other countries as for our own. Well-written and accurate historical fiction, mysteries or adventure stories, can help fill this gap. My hope is that, through my Mei-hua series, young people will develop a deeper understanding of this fascinating culture and its people. How much fact is in your fiction? Whether I’m writing a historical novel or a contemporary mystery, accuracy is critical. I research as much as I can—from a detail about how a particular rifle sounds when shot or how llamas behave or the proper ritual for a Daoist exorcism. Research means reading broadly on the topic but also, and maybe even more important, interviewing experts or relying on my personal experience. And, I must say, this is the part of writing that I most enjoy. In fact, it’s often hard for me to stop researching and get to my story! To me, fiction is as important as non-fiction in shaping the reader’s perception and, therefore, getting the facts right is essential. In my Mei-hua series, I steep myself in the history and culture of the time, but also use contemporary events that may inform those historical details. For example, I studied folk traditions and religion and am able to call on some of the experiences I had to create certain scenes. Of course, the reader doesn’t want a dry history or exposition on details, such as gun use. Facts provide the story’s base but every story’s top priority is to entertain, to keep the reader engaged and turning the pages. What are your top three reasons for writing? Truth be told, the first reason I write is because it’s fun. Yes, it’s a lot of work and some parts I like a lot more than others, but it’s a joy to create stories and bring characters to life. Second, I want to take my readers on a journey. The journey may be to introduce a different culture and time period, as with my historical trilogy. It may be to explore our human nature and the consequences of our behavior. Or, it may be purely to spin a mystery to entertain and, hopefully, challenge the reader. Third, because I am an anthropologist, I also use fiction to delve into the personal side of other ethnic groups and their cultures. It’s an exploratory process for both me and the reader. And because I’m writing fiction, the exploratory process can include “what if” in a way non-fiction works don’t normally allow. A TANGLED YARN -- Join Shannon McClain and the members of the Purls of Hope knitting circle in Apple Grove, Oregon, as they unravel mysteries that touch their lives and the lives of those they care about in the quaint coastal town. In their sleuthing adventures the women will find danger, intrigue, and even romance. They will unearth dark secrets some would rather stay buried. But they will also make heartwarming discoveries that change lives forever. Follow Shannon and her friends as they uncover clues and solve mysteries, and let their heart-pounding adventures keep you on the edge of your seat. My web site is http://padevoe.com/. 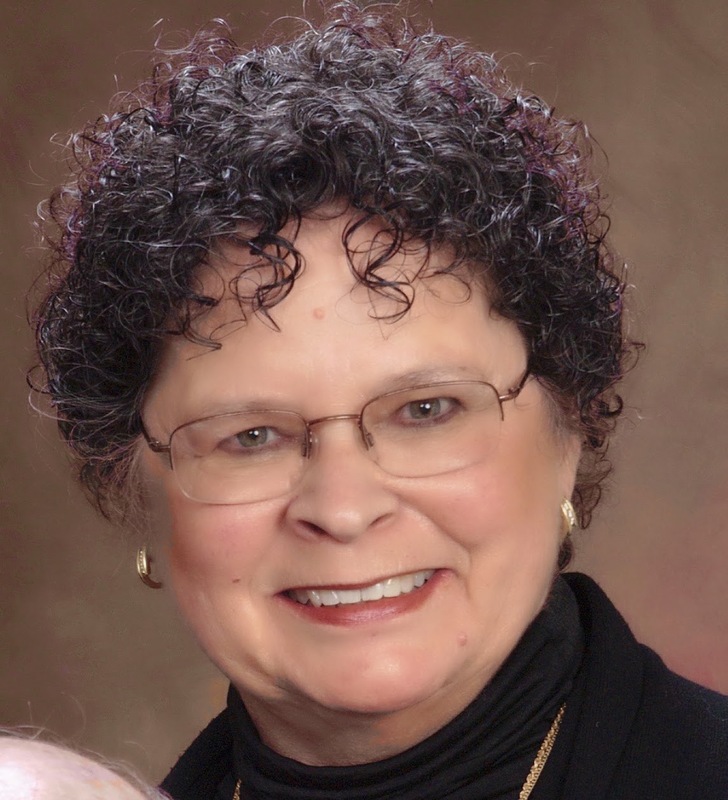 I also interview Midwestern and Internationally-oriented mystery authors once a month for for the Greater St. Louis Sisters in Crime blog. The site is: http://stlsinc.blogspot.com.